2018 has been a big year for GIANTS Software and the Farming Simulator series. Truthfully, 2016, 2017, and 2018 have been a big three years for GIANTS, but it seems that this year everything has come to a head. In the wake of the success of Farming Simulator 17, which sold a million copies within a month of release, GIANTS has continued to push the agricultural simulation genre forward despite any significant competition – continually testing new “mods” and making them easily available through Farming Simulator 17’s ModHub, providing PS4 Pro and Xbox One X support, and developing new downloadable content to keep players interested. Somewhere along the way, as they were working on the development of additional content and features for Farming Simulator 17, GIANTS also began development of the next iteration of the game. All of this has been done in close contact with the game’s dedicated community through the developer’s official forums, social media accounts, and Discord server, where players have the opportunity to interact directly with GIANTS staff. 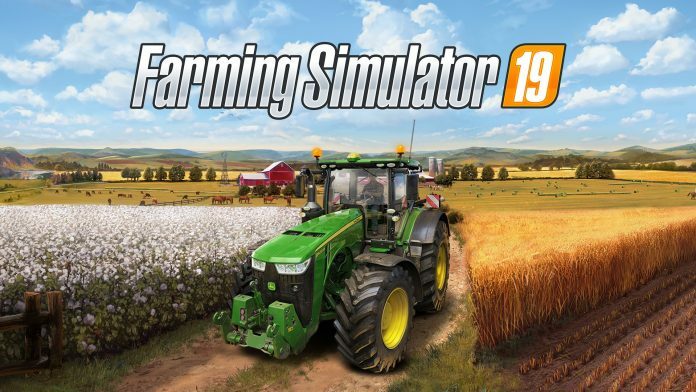 Despite significant growth in the popularity of the Farming Simulator series, the developer has maintained this connection with its community, and appears to listen closely to player feedback when looking at ways to further enhance the game. With many players accumulating hundreds (or even thousands) of in-game hours, their feedback can be a treasure trove of information and ideas. Or it can be a series of comments asking when John Deere tractors will appear on its equipment roster – but more on that later. After working away on supporting Farming Simulator 17 throughout 2016 and 2017, GIANTS exploded in 2018. On February 15, 2018, the development of Farming Simulator 19 was officially confirmed by the release of a Computer Generated Imagery (CGI) trailer. Offering little more than a hint at what was to come (including the appearance of a dog for the first time in the series’ history), the trailer promised that Farming Simulator 19 would allow players to “Farm Like Never Before”. “We would like to thank all our players for their loyalty. Ten years of Farming Simulator would never have been possible without you all, because no game lives without its community. Our modders and players, our fans and streamers/YouTubers, will always be part of the family of the Farming Simulator. We have learned a lot in the last 10 years and improved the game piece by piece to offer you an ever evolving game experience and we are far from done! There were those words again. Farm like never before. But what exactly was this referring to? Was it simply just a catchy phrase to pique players’ interest? Did it just serve to indicate that Farming Simulator 19 would have new features that weren’t present in 17 (a relatively safe assumption to make for an iterative series)? The answer to these questions would be clarified at a later date, but not before GIANTS announced some other big news. On May 17, 2018, GIANTS revealed that it was expanding its offices (and by nature of this, the size of its teams). Its two existing studios would move to larger office spaces, and it would open an entirely new office in Brno, Czech Republic. This move, coming on the heels of the company’s 10th anniversary celebrations, clearly indicated that GIANTS was in a strong position as a result of the success of Farming Simulator 17, and was ramping up to continue to make the series bigger and better than ever. While there’s always some risk to a smaller developer growing in size in terms of reduced responsiveness to player feedback, GIANTS’ history of consistent communication with its fanbase and repeated messaging expressing gratitude to the community that supports it should easily relieve any fears that their model of community interaction will go away anytime soon. 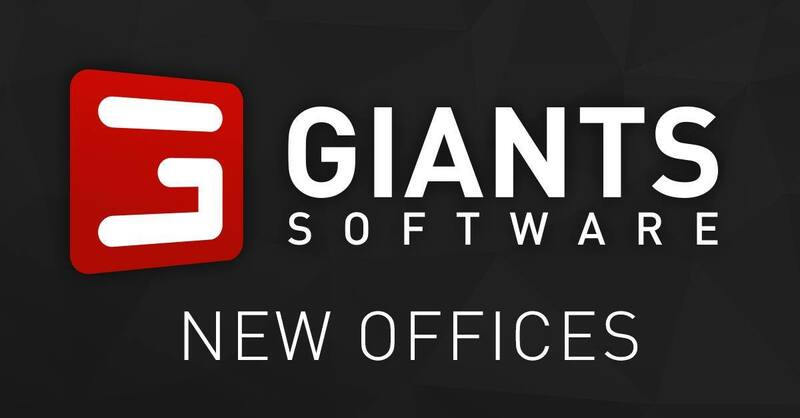 The expansion of GIANTS’ offices and teams clearly indicate that the series was experiencing similar growth, and that the developer needs more hands on deck to ensure that Farming Simulator 19’s content is produced according to the necessary timelines. But it left me wondering – what could GIANTS need all this extra help for? I, and other fans of the series, awaited the Electronics Entertainment Expo (E3) in June with bated breath in hopes of a big announcement. And GIANTS didn’t disappoint. On June 12, 2018, before the doors even officially opened for E3 2018, GIANTS released a much-anticipated trailer. While this trailer was CGI (like the reveal trailer) and not in-game footage – much to the disappointment of some fans anxious to see real gameplay – it had been promised by GIANTS to reveal some telling information about Farming Simulator 19. And reveal it did. The trailer showed players the one thing that has been, by far, the most requested for years – likely since the first version of Farming Simulator was released: John Deere equipment in a Farming Simulator game, at long last. While many players fawned over the arrival of the long-awaited green and yellow, the reveal struck me in a different way. The presence of John Deere equipment in Farming Simulator means much more to me than simply having a wider variety of equipment to power the in-game implements, or feeling any connection to the brand itself. Yes, John Deere is the largest, most recognizable brand in modern agriculture, and it undoubtedly has many, many diehard supporters who had dreamed of this day. But more importantly, this was a watershed moment for the series. This reveal was likely the source of many cheers and high-fives around the GIANTS offices (and maybe even a round or two of drinks!). Nevermind the formidable feat of keeping this news (or even rumours of it) out of the public knowledge – the act of signing a licensing agreement for John Deere equipment in a Farming Simulator game is something that I can only assume that GIANTS has been pursuing for many, many years. The reason for John Deere’s hesitance to allow its equipment into a Farming Simulator game is relatively unclear. Various rumours have been circulating among the game’s community for years. It’s possible that it was an issue of cost – perhaps GIANTS couldn’t afford the price that John Deere set for a license to get their equipment into the game. On the other hand, some players speculated that John Deere was unwilling to give GIANTS a license due to a long-forgotten game of its own (John Deere: American Farmer, released in June 2004 – four years before Farming Simulator was even created). Or maybe John Deere just didn’t see any value in having its equipment featured in a video game. Neither GIANTS nor John Deere ever provided any insight into what sort of impasse existed. But none of that matters now – John Deere is in! I can’t stress enough how the presence of John Deere as a licensed brand in Farming Simulator 19 speaks volumes about how far the series has come since its inception. Farming Simulator is very clearly the largest agricultural simulation series on the market, and it now boasts a licensed livery containing nearly every major brand in modern agriculture (with a few exceptions). This achievement, and the position that GIANTS now finds itself in, stands out to me as the pinnacle for the developer in its 10 years of existence: its one significant holdout brought into the fold; expanding its offices to keep pace with the growing popularity of its flagship franchise; poised to release a new game in the fall that stands a very good chance of being its best-selling yet. With GIANTS’ own Farming Simulator-oriented conference “FarmCon” right around the corner (taking place July 14-15) we very well may see more information on new features present in Farming Simulator 19 in the coming weeks. We already know that some big changes are coming. No matter what we find out, it’s no secret that 2018 has been a big year for GIANTS Software and the Farming Simulator series – and all signs point to it getting even bigger.